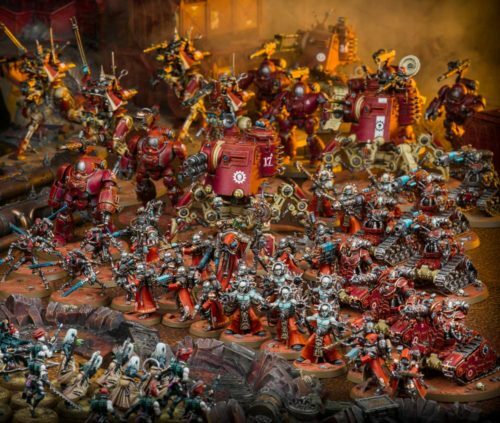 Adeptus Mechanicus, Imperial Knights, Astra Militarum and Thousand Sons: Mars Attack! Oh, boy. 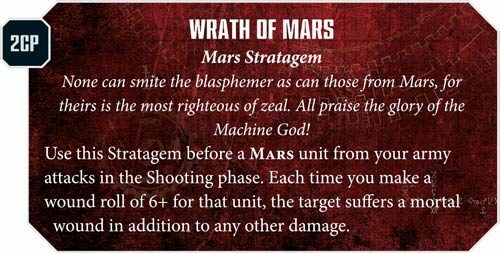 Warhammer Community has a new post featuring Mars today, and it's awesome! Yeah, Mars looks awesome! Anyway, what do we get? A cool army. Yup. This is going to be my favorite "borrowed" forge world. 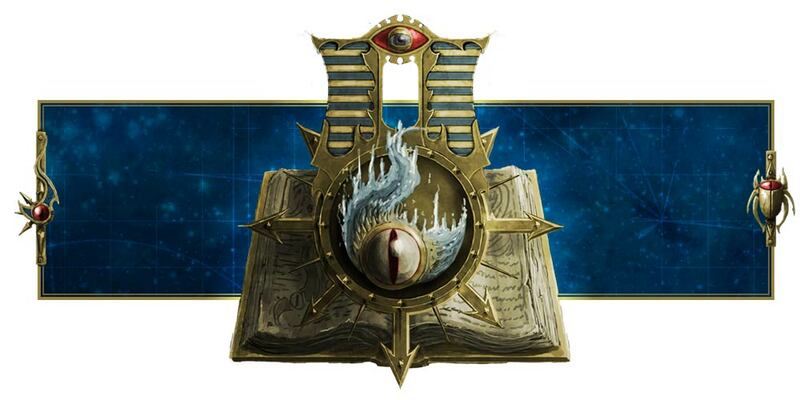 I mean, I use Draconis IV, but the thing with Warhammer 40,000 is that you can say they are a successor forge world. So my homebrewed Draconis IV will use the rules of Mars, for example. And guess what is Mars's Legion Trait or Chapter Tactics? Yup. You read that right. 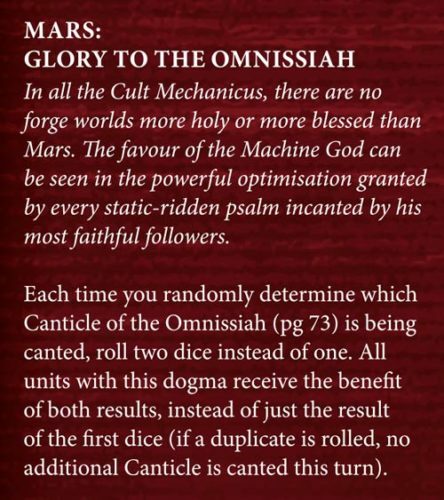 We get to have two Canticles of the Omnissiah. 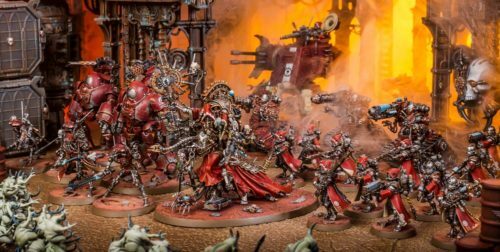 And combine that with Belisarius Cawl's ability to add or deduct 1 to our randomly rolled Canticle, I can foresee this being very powerful. The problem is...the Canticles themselves. Other than Shroudpalsm, they are pretty underwhelming. Unless we get a huge buff for Canticles of the Omnissiah, I don't know if I'll be using this much. Most of my army is shooting, not melee, so the re-rolls to hits in fight phase or +1 to Strength just doesn't appeal to me, and the shooting Canticle is already given by my Tech-priest Dominus and Belisarius Cawl himself, so...that's 3 out of 6 that are pretty pointless. The other one is the mortal wound, which is pretty cool if you ask me. But...highly impractical because I have to roll 6s to inflict the mortal wounds, and that's highy unlikely. I do have to make sure to use the morale re-roll because my Vanguard just up and ran away the last time they got shot at by Inceptors. But yeah, unless there's a huge buff to Canticles, I don't know if I'll be using it. What's next? Oh, we have a new, revamped Belisarius Cawl with his own Warlord Trait! He still has the +1 or -1 to our randomly rolled Canticles, so that's cool. It also seems he keeps that Lord of Mars re-roll all hits ability, so that's pretty awesome too. I'm going to stick him with my Kastelan Robots and Onager Dunecrawlers! Hell, yeah! So Belisarius's Lord of Mars ability that allows re-rolls will be buffed to 9" instead of being just 6"! That's a lot of Kastelan Robots and Onager Dunecrawlers I can surround him with! And guess what we have for our Stratagems? HO HO HO HO! Holy Omnissiah! If we use this in conjunction with our Kastelan Robots, we will be wiping the floor with every salvo we make with our Protector Protocols! HA HA HA HA HA! Even Magnus or an Imperial Knight will die to this Stratagem! Even that accursed Montarion (unless he makes all his Disgustingly Resilient and Feel No Pain saves)! HA HA HA HA HA! I'm going to start buying more Kastelan Robots now! Wait...just checking, so we can only use the same Stratagem once per game? Or can we use it as many times as we want as long as we have the points, with the restriction that we cannot use the same Stratagem in the same phase? If not, I'm going to abuse this Stratagem as much as possible! Each stratagem can only be used once per game phase in matched play. Why did you ever consider selling your Adeptus Mechanicus in the first place? They're pretty good this edition, at least in my experience. I've won the majority of my games with them! But yeah, wait for the codex and don't be too hasty in selling them!